Conversion to Judaism is a very serious and wonderful process. Committing yourself to the Jewish people is nothing like any else in this world. We will study together at your pace. We’ll review, discuss and make Judaism part of your life. 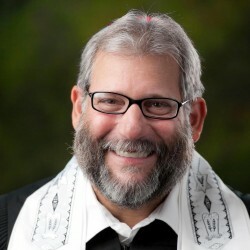 Me, I received my degree in Religious Literature from Cal State University at Northridge (CSUN), studied Rabbinic Literature at University of Judaism and received my ordination from JSLI in New York City. I have been blessed to be able to share my talents and knowledge of Judaism with students from all over this world. I look forward to sharing Judaism with you. Baruch Hashem!